Fleetwood Mac News: Wow! Stevie Nicks sounds amazing on the Buddy Holly Tribute! Wow! Stevie Nicks sounds amazing on the Buddy Holly Tribute! In this video, you can watch the stars behind Listen to Me: Buddy Holly record their tracks in the studio and talk about the influence of Holly on their own work. Listen to Me: Buddy Holly will be available in stores on September 6th – the day before what would have been Holly's 75th birthday – and proceeds from the set will go to numerous music-related organizations, including The GRAMMY Foundation's "GRAMMY Camps" and Artists' House Music, that support the artistic growth and professional development of young musicians. (New York, NY) Songmasters announces the upcoming release of Listen To Me: Buddy Holly, an extraordinary new collection featuring contemporary takes on songs originally written and performed by the late, great Buddy Holly. The album – presented as part of Songmasters’ innovative Listen To Me: Buddy Holly multi-media campaign – arrives in stores and at all digital retailers via Verve/Forecast Records in the US and in eOne Music Canada on September 6, 2011. International release follows. Listen To Me: Buddy Holly features a remarkable line-up of artists paying tribute to the iconic work of an artist many consider to be the first true “singer/songwriter” performer of the rock ‘n’ roll era. 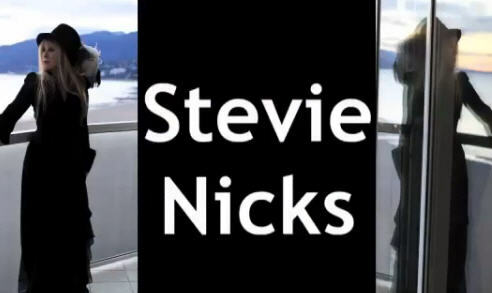 Among those contributing brand-new recordings to the collection are Stevie Nicks, Patrick Stump, Jeff Lynne, Natalie Merchant, Imelda May, Lyle Lovett, Jackson Browne, The Fray, Cobra Starship, Brian Wilson, Chris Isaak, Pat Monahan (of Train), Zooey Deschanel, Eric Idle, and the one and only Ringo Starr. The album will include the incomparable version of “That’ll Be The Day” recorded originally by Linda Ronstadt and produced by Asher. Never bested, this track remains, according to Asher, the most outstanding version of that Holly classic available. Listen To Me: Buddy Holly is Executive Produced by multiple GRAMMY Award-winning producer/artist/manager/executive Peter Asher, whose own personal connection to Holly’s music goes back to 1965, when Peter & Gordon’s timeless cover of “True Love Ways” proved a massive hit both here and in the U.K. In addition, Asher produced Linda Ronstadt’s smash renditions of “It’s So Easy” and “That’ll Be The Day,” both of which served to further bolster the amazing durability of Holly’s legacy. Boasting a line-up hailed by Holly’s widow, Maria Elena, as “fantastic,” Listen To Me: Buddy Holly stands tall among the many tribute albums devoted to Holly’s work. These exceptional interpretations, produced by Asher and performed by artists whose own noteworthy careers span three generations of post-Buddy rock ‘n’ roll, create an innovative collection of “modern authentics” that showcase the versatility, range, and across-the-board appeal of Buddy’s music. The Listen To Me: Buddy Holly campaign celebrates what would have been Holly’s 75th birthday by honoring his brief but brilliant life and career through an astonishing range of events, recordings, and charitable programs over the next year. September 7th – Holly’s birthday – will see the long awaited unveiling of Holly’s much-deserved star on the Hollywood Walk of Fame – a permanent public monument to a genuinely noteworthy artist. Peter Asher will be among the featured speakers at the event, which will be hosted by the owners and publishers of Holly’s catalog. That evening, a number of the stars featured on Listen To Me: Buddy Holly – along with special surprise guest artists and friends and family from Holly’s too-brief life – will team up for Songmasters’ “Ultimate Buddy Party,” an invitation-only V.I.P. concert event to be held at The Music Box in Hollywood. Asher will serve as the evening’s musical supervisor, with the performers backed by a stellar house band led by renowned session guitarist, Waddy Wachtel. The concert event will be shot live in HD for broadcast starting with PBS’ December 2011 pledge drive, followed by a deluxe DVD/CD release. Further details will be announced prior to that release. The Listen To Me: Buddy Holly celebration continues in October with the kick-off of the Listen To Me “True. Great. Original. National Talent Competition,” a distinctively formatted search for the next generation of true, great, original music artists. Conducted in collaboration with OurStage, the contest will see participants competing in three performance categories reflecting Holly’s lasting musical legacy. Listen To Me: Buddy Holly marks the inaugural event of Songmasters’ Listen To Me series of year-long multi-media celebrations of the True. Great. Original. artists who forever changed modern music and culture. Each future campaign will feature today’s leading and emerging artists paying tribute to their musical forebears to raise support and awareness for the next generation of songwriters, performers, and entrepreneurs. Songmasters’ continuing support for emerging talent carries on Holly’s legacy of boosting and empowering new artists. Since 2009, Songmasters has endowed The Holly Prize, an annual award juried and presented by the Songwriters Hall of Fame to recognize and support the “all-in-one songwriter,” an exceptionally talented and inspired young musician/singer/songwriter whose work exhibits the ambition and artistic qualities of Holly's music. Listen To Me: Buddy Holly will also benefit numerous music-related organizations – including The GRAMMY Foundation’s “GRAMMY Camps” and Artists’ House Music – each of which support the artistic growth and professional development of young musicians and industry innovators. Additionally, the winners of the Listen To Me talent contest will receive grants, cash and product awards, and performance opportunities to help launch their professional careers in music. Buddy Holly is, of course, one of rock ‘n’ roll’s true pioneers, the original “all-in-one songwriter.” In an era when most artists performed songs penned by leading songwriters of the day, Holly wrote and recorded his own uniquely personal material, establishing the creatively independent tradition that defines the genre. What’s more, as leader of his own band, Buddy Holly and The Crickets, Holly set the template for one of rock’s ultimate archetypes, the singing, guitar-playing frontman of a two-guitars-bass-and-drums combo. As if all that weren’t enough to confirm Holly’s lasting influence, he was also a forward-thinking businessman who had started his own artist-run independent label at the time of his tragic death, anticipating by a half-century the need for artists to both control their creative expression and the commercial value of their work. In both his music and career innovations, Buddy Holly has become more than just a legend or an icon – his influence can be seen and heard in most every aspect of modern popular music.